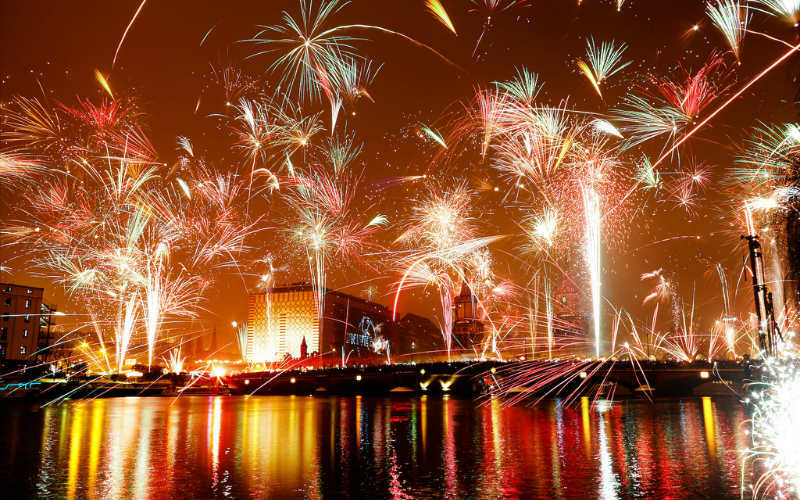 Each year, cities across the globe welcome the new year in their own unique style. 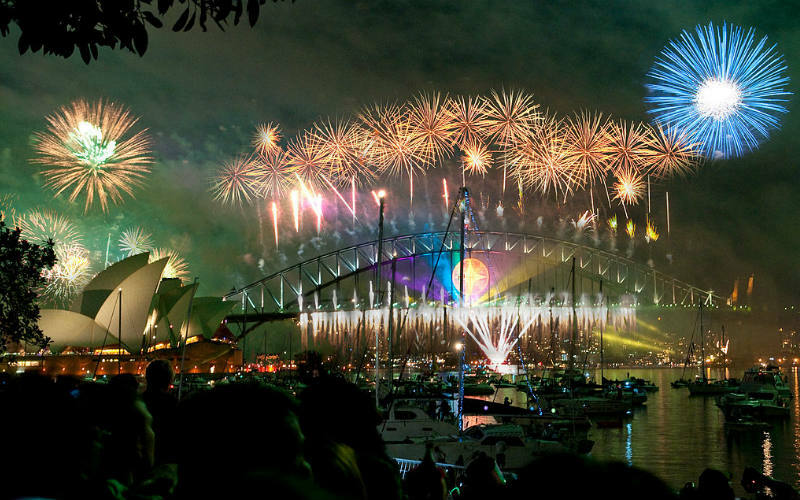 Staging mesmerising firework displays, world class live music performances, and more, there is certainly no shortage of fantastic ways to celebrate New Year’s Eve, regardless of if you’re in Sydney, Hong Kong, London or Berlin. If you’re looking to enjoy a New Year’s Eve you’ll never forget, check out the best places to celebrate New Year’s Eve around the world! With the iconic Sydney Harbour Bridge taking centre stage, Sydney’s New Year’s Eve celebrations are said to be Australia’s best. Each year, impressive displays of brightly coloured fireworks illuminate the skies around Sydney Harbour, highlighting the Sydney Opera House and the city’s famous bridge. There are a great range of public viewing areas scattered along the harbour’s edge, with harbour cruises placing lucky passengers in the midst of the celebrations. There are plenty of bars, clubs and special events that take place across the city, offering you more than enough opportunities to to mark the occasion and party well into the night. Sydney, Australia. Image Credit: Hai Linh Truong / CC by 2.0. Each year, over a million people flock to New York City’s Time Square to ring in the new year. Featuring live music and entertainment, as well as the world renowned ‘Ball Drop’, New Year’s Eve in Times Square is just as much about the electric atmosphere and unforgettable experience of being there as it is about the spectacle of the celebration itself. 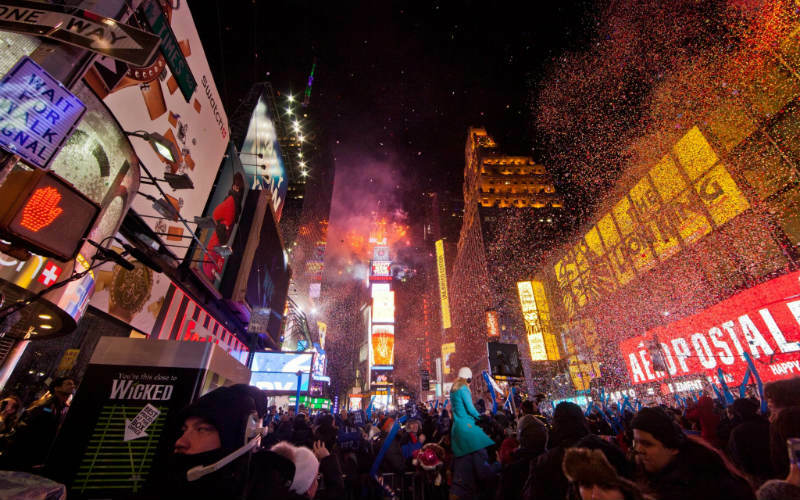 If you’re lucky enough to secure a spot ahead of time, enjoy the entertainment, countdown to midnight and watch the New Year’s Eve Ball descend from One Times Square as you are showered in a flurry of confetti. New York City, United States of America. Image Credit: Anthony Quintano / CC by 2.0. 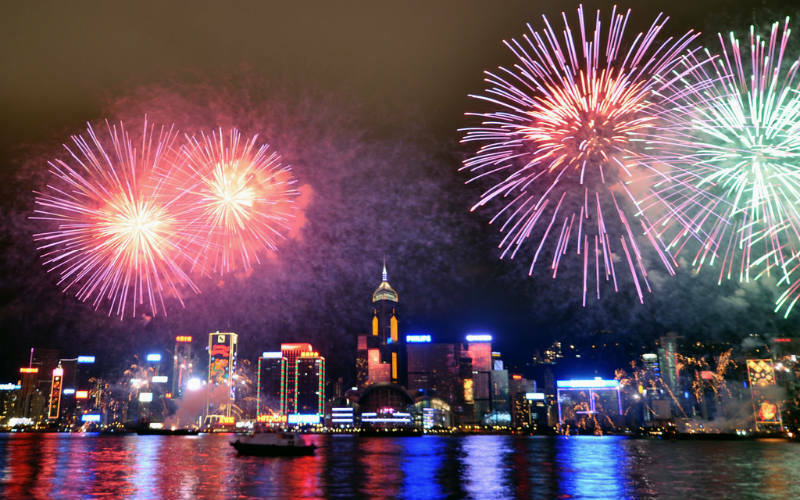 Whether you’re watching on land, from a boat or within one of the city’s skyscrapers, New Year’s Eve in Hong Kong is a world class event that shouldn’t be missed. Although not quite as impressive as the city’s Lunar New Year celebrations, Hong Kong certainly does welcome the new year in style. With fireworks launched from harbour barges and the city’s landmark buildings, the pyrotechnic display above Victoria Harbour is truly captivating. If you’re wanting to get amongst the action, a number of cruise boats take to the harbour each year, offer fantastic views. Hong Kong, Hong Kong. Image Credit: Michael Elleray / CC by 2.0. As London enters the new year, the city celebrates with an impressive firework display set against its iconic skyline. Launched in the South Bank district from boats on the Thames, the display sees the city illuminated in a spectrum of colours and carefully planned pyrotechnic designs. 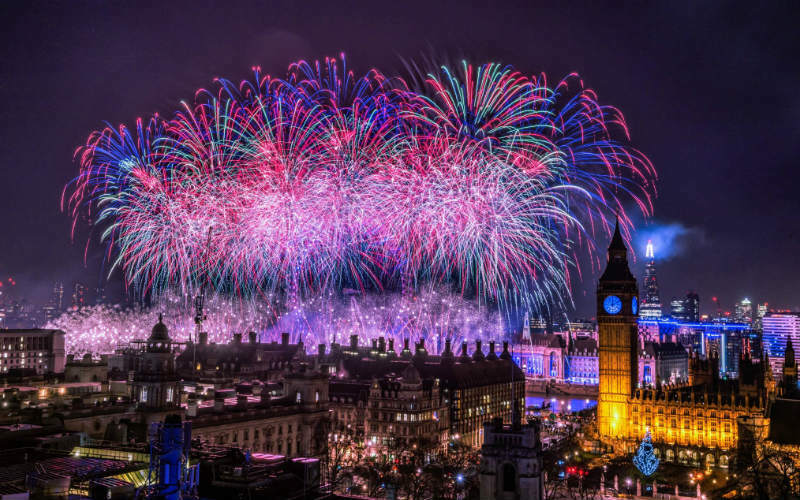 As a general rule, if you are able to see the London Eye, you should also be able to enjoy a good view of London’s main fireworks display, but, if not, there is no shortage of vibrant pubs, clubs and bars perfect for welcoming the new year. London, England. Image Credit: Visit London. In the hours leading up to midnight, the stretch of road between Berlin’s Brandenburg Gate and the Victory Column is transformed into an open air party, complete with live music, light shows, DJ sets, food stalls, bars, fireworks and more. Attracting around one million people each year, the two kilometre roadway is filled with revellers from across Berlin and beyond, with the party continuing well into the early hours of the new year. With everything you could need in one place, from food and drinks through to entertainment, Berlin’s New Year’s Eve celebrations (known locally as Silvester) offer you the perfect opportunity to welcome the new year in true German style. Berlin, Germany. Image Credit: Marcel Berkmann / CC by SA 2.0. One of the world’s most famous stretches of sand, Rio de Janeiro’s Copacabana Beach bursts to life with close to two million revellers looking to welcome the new year. 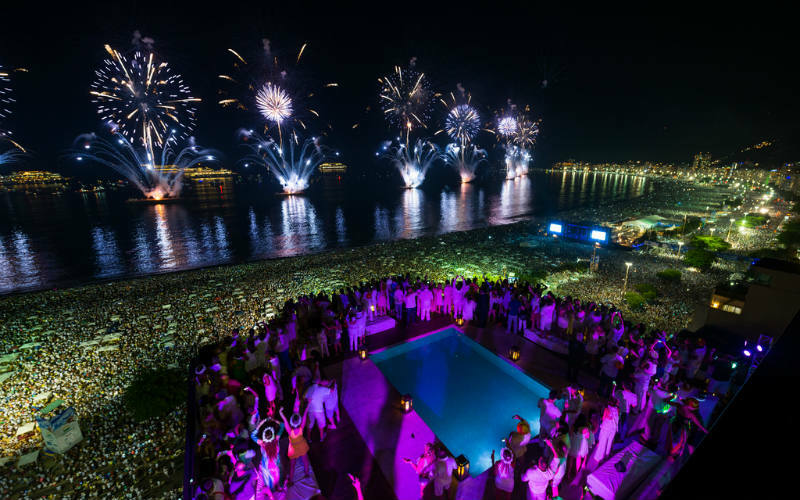 The city’s second biggest event after Carnival, New Year’s Eve is a big deal for Rio, with dozens of live performances staged along four kilometres of picturesque coastline, spectacular firework displays over the water and no shortage of champagne once the clock strikes midnight. Most locals dress in white for New Year’s Eve (otherwise known as Reveillon) to signify good luck in the coming year, so it’s a good idea to do the same and get into the spirit of the Brazilian celebration. Rio de Janeiro, Brazil. Image Credit: PortoBay Hotels & Resorts / CC by ND 2.0. 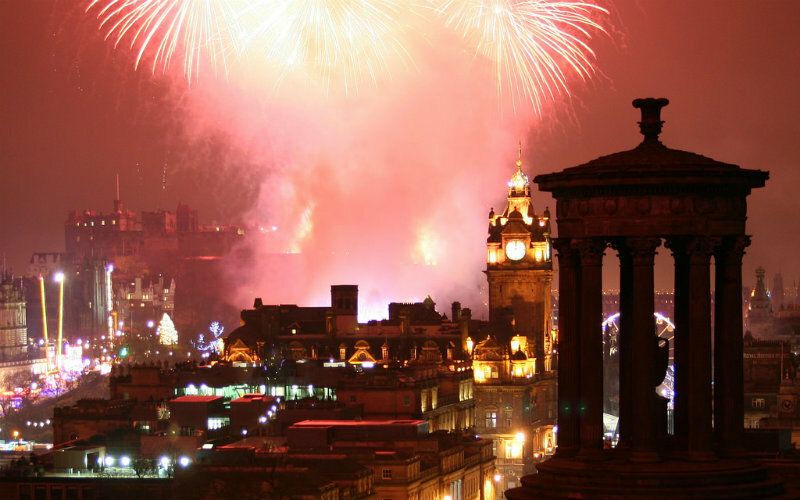 Edinburgh’s traditional New Year’s Eve celebrations, known as Hogmanay, stretch over three days, starting on the 30th of December and ending on the 1st of January. Featuring a full calendar of events, including live music, dancing, a torchlight procession paying homage to the region’s Viking heritage, and more, the annual festival is a great way to celebrate the new year and enjoy a taste of traditional and modern Scottish culture. As midnight rolls around, watch on as Edinburgh Castle acts as a stunning backdrop to the city’s colourful firework display, before joining hands with locals for the world’s biggest rendition of Auld Lang Syne, an iconic Scottish song. Edinburgh, Scotland. Image Credit: Robbie Shade / CC by 2.0. 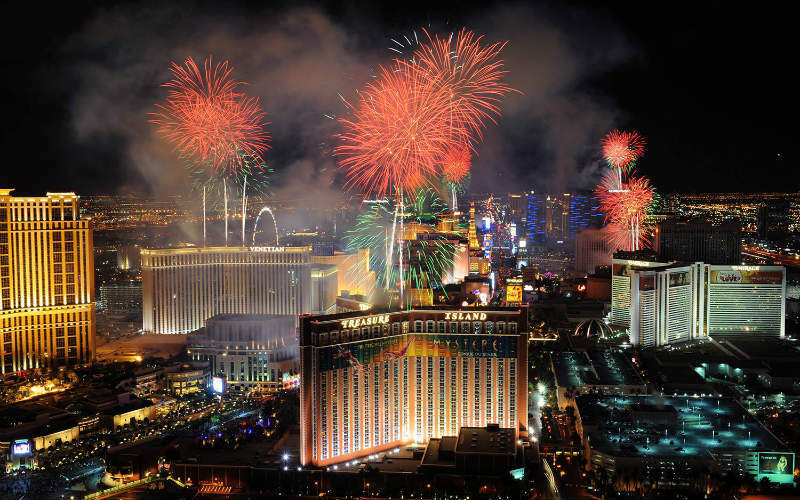 Known around the world for its lavish party lifestyle, Las Vegas certainly doesn’t hold back when it comes to celebrating New Year’s Eve. In the lead up to midnight, the iconic Strip is blocked off to traffic, transforming the famous street into a giant pedestrian mall and the ideal place to watch the city’s firework displays. When midnight arrives, fireworks are launched from several casino rooftops, with music accompanying the mesmerising light show. As always, the city’s clubs and casinos host no shortage of parties and performances, providing plenty of ways to welcome the new year. Las Vegas, United States of America. Image Credit: Visit Las Vegas. Interested in ringing in the new year at one of these top destinations? Find cheap flights and great hotels with Webjet. Feature Image Credit: Leandro Neumann Ciuffo / CC by 2.0.